Electronic submissions will be handled via Easychair. 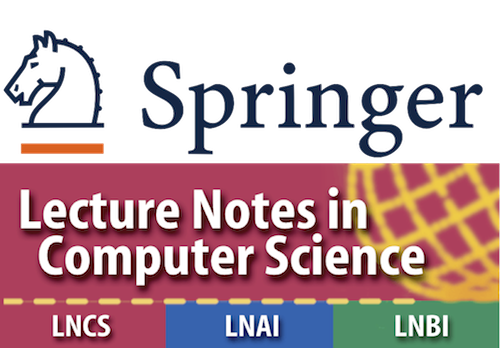 Papers must be written in English and formatted according to the Springer Lecture Notes in Computer Science (LNCS) guidelines. Authors should consult Springer's authors' guidelines and use their proceedings templates, either for LaTeX or for Word, for the preparation of their papers. Springer encourages authors to include their ORCIDs in their papers. In addition, the corresponding author of each paper, acting on behalf of all of the authors of that paper, must complete and sign a Consent-to-Publish form, through which the copyright for their paper is transferred to Springer. The maximum length of a papers is 16 pages in LNCS format, i.e., the ECML PKDD 2018 submission format. Overlength papers will be rejected without review (papers with smaller page margins and font sizes than specified in the author instructions and set in the style files will also be treated as overlength). Authors who submit their work to PAP2018 commit themselves to present their paper at the workshop in case of acceptance. PAP2018 considers the author list submitted with the paper as final. No additions or deletions to this list may be made after paper submission, either during the review period, or in case of acceptance, at the final camera ready stage. Condition for inclusion in the post-proceedings is that at least one of the co-authors has presented the paper at the workshop. Pre-proceedings will be available online before the workshop. All accepted papers will be published as post-proceedings by Springer and included in the series name Lecture Notes in Computer Science. The proceedings of the past edition of PAP are available through SpringerLink. All papers for PAP2018 must be submitted by using the on-line submission system via: EasyChair. This workshop is partially supported by the European Community H2020 Program under the funding scheme INFRAIA-1-2014-2015: Research Infrastructures, grant agreement 654024 SoBigData.